Golf, like any sport, is meant to be enjoyed. But, with it comes a certain etiquette to follow out on the course. For kids, this is especially vital so they learn how to respect the game and the other players. Here are 4 of the top rules of Golf etiquette not to ignore. Kids tend to get excited and it’s only natural to feel thrilled when succeeding at the game. But, golf takes concentration and focus. When out on the course, staying calm and quiet should be encouraged, especially when other players are hitting nearby. A small cheer following a nice shot is accepted, as is calling out the old “fore” before hitting a wide shot. Remind kids to speak in low tones and discourage any horseplay or running around. We’ve all been slightly discouraged when waiting for a slow group to play and move on. 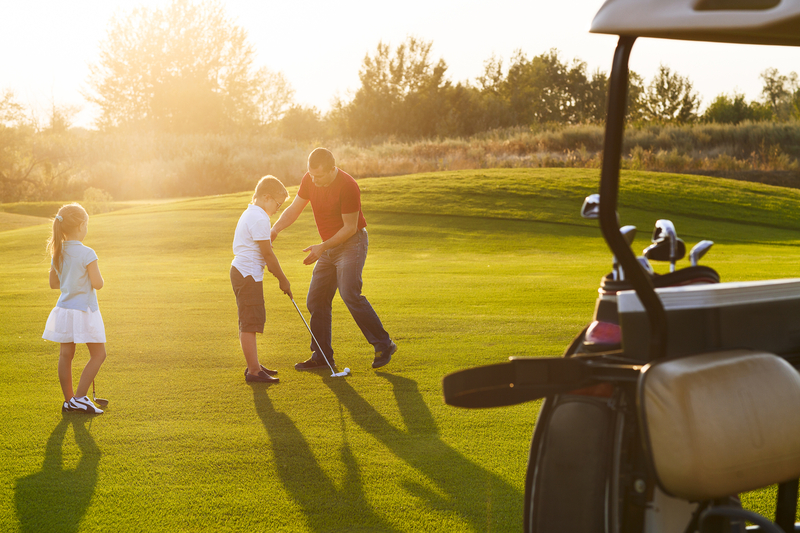 Teach young golfers to be considerate of others when in a similar situation where someone is waiting for their turn. Always be ready to go with equipment and if someone is playing through faster, let them go ahead. They should keep the pace of the game by being mindful, while still having fun. Leave it as you found it! This is especially important when playing on a course. That means using a divot tool to repair ball marks on the green, raking sand in the bunkers if they’ve been walked in or replacing divots. There is a certain dress code for girls and boys to follow when out on the course. Those tight leather pants are not going to cut it. The rules vary from club to club, but generally, males should wear dress shorts or slacks with a collared shirt. Females should sport pants, shorts or skirts with a collared shirt.